When planning your trip, you are going to want to check out the best things to buy in Iceland. Whether it is authentic Iceland products or gifts from Iceland, there is something for everyone to find as a keepsake from their visit. 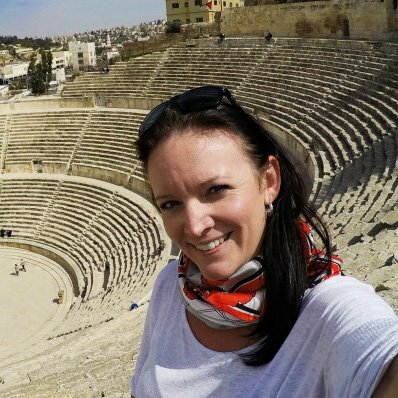 I always pick up a flag from the country that I am visiting and often send postcards home, but also pick up a few souvenirs, and often let the kids pick up their favourite souvenir. There are quite a few souvenirs from Iceland for you to choose from, whether a reference to the northern lights, or a puffin t-shirt or an Icelandic wool sweater, keep reading to find all of the best things to buy in Iceland when you visit. Some of the best Iceland gifts are things that you can eat! Friends and family love living vicariously through you if they can sample some of the best things to buy in Iceland. Considering bringing home some Omnom chocolate. liquorice, or Ris Buff Candy. Brennivin is the most common spirit to bring back home from Iceland. It is a clear, unsweetened schnapps and popular among residents and visitors. Reyka Vodka is made from water that comes from a 4000 year old lava field. Many people say that Iceland makes the best vodka in the world. You will have to try it for yourself. Stocking beer in Iceland is a relatively new thing. Viking Gold Beer is the favourite with locals and tourists. If you plan on enjoying some of these Icelandic beverages while in Iceland, consider picking some up at the Duty Free on arrival! Known as “lopapeysa” Icelandic wool sweaters are one of the best things to buy in Iceland. They are made from Icelandic sheep’s wool and are known for their quality, warmth and style. They can be worn by both men and women and are perfect for cold climates due to their heat-retaining properties. They typically feature geometric zig-zags and diamonds and come in earth tones of browns, greys, blues and white. These sweaters make one of the most authentic gifts from Iceland. For the little person in your life, consider anything with a puffin on it. Stay away from the polar bears, as they are not actually found in Iceland and they just continue to portray Iceland as a frozen tundra even though it is so much more than that! 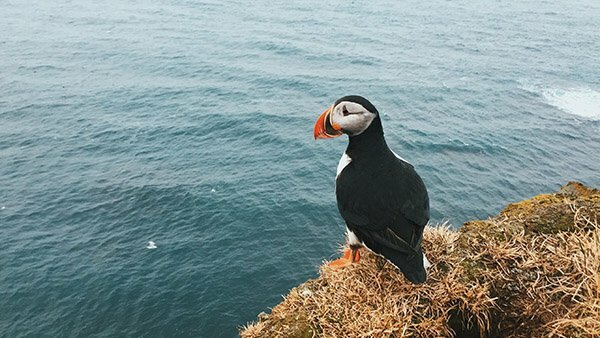 But the puffins, those are adorable, and found in Iceland, and they can be found in an Iceland souvenir shop! Lava rock jewelry that is handmade in Iceland is one of the best souvenirs from Iceland for those who want to show off their travels and start a conversation piece about their fashion and their travels. It symbolizes the rugged outdoor landscape that Iceland is known for, and these landscapes are one of the reasons that we want to visit Iceland with our kids! Lava Rock jewelry is empowering and signifies one of the core elements within astrology. It also represents the contesting elements of Iceland, which is well known as the land of fire and ice. Sea Salt has become a popular souvenir from Iceland for cooking and for use in body scrubs and soaks. The Icelandic sea salt comes in different grinds, colors and mixes and is an easy item to transport back home to share with friends and family. Sustainable sea salt is harvested from the Westfiords of Iceland, which boasts some of the cleanest saltwater around. Hot Springs are known for health benefits. The hot water is a by-product of being near geothermal energy. As this hot water reaches towards the surface, it contains very high mineral contents. 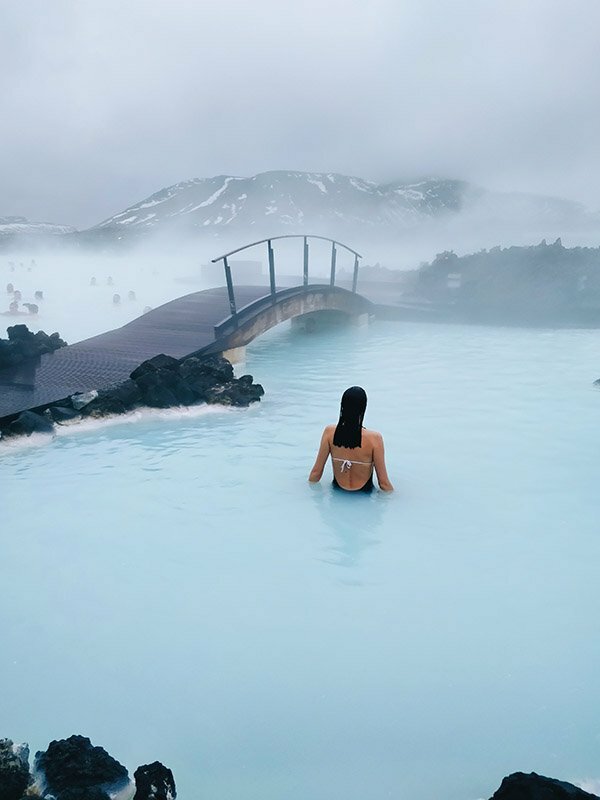 The Blue Lagoon hot springs offer skin benefits that have shown to improve acne, and have anti-aging properties. The Blue Lagoon mud and mineral salts can be purchased in Iceland and are one of the popular things to buy in Iceland. Perhaps more of a gag gift for friends, this is for anyone who does not know what to buy in Iceland for the friend who they want to bring home a keepsake from Iceland. You will likely find them in a Reykjavik souvenir shop. Not for everyone, but they are sure to bring a laugh to whomever you buy them for. For those who want quality, Icelandic wool is popular for knitting. It makes warm, waterproof and light garments. It is also known to be easy to knit, but can be scratchy against the skin. With a base layer underneath, anything made of Icelandic wool will keep the wearer warm and dry in even the harshest environment. If you have someone in your life who enjoys an excellent quality wool, consider Icelandic wool as a souvenir from Iceland. Icelanders revere the reindeer as a national symbol in their country. Their pelts are beautiful and luxurious and can make a statement piece at home. If you are looking for something like this for your home, consider a Reindeer pelt from Iceland as something to bring home as a keepsake from your trip. Farmer’s markets are popular in Iceland, check them out on your Iceland road trip. You can find some of the best souvenirs in Iceland that are handcrafted locally and support local Icelanders. 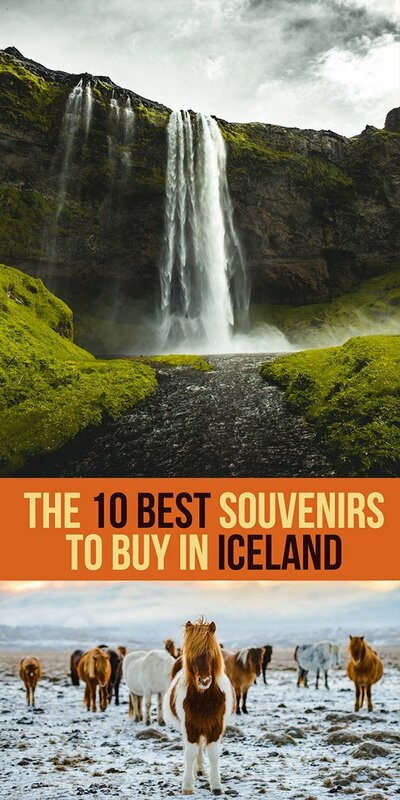 You can also find several souvenir shops in Reykjavik for all of your Iceland shopping and the best things to buy in Iceland. Just stay away from the polar bear stuffies, as polar bears are not native to the country, but sometimes end up there by floating across on ice from Greenland. If you are looking for more things to do while in Reykjavik, check out this post from Bobo and Chichi. 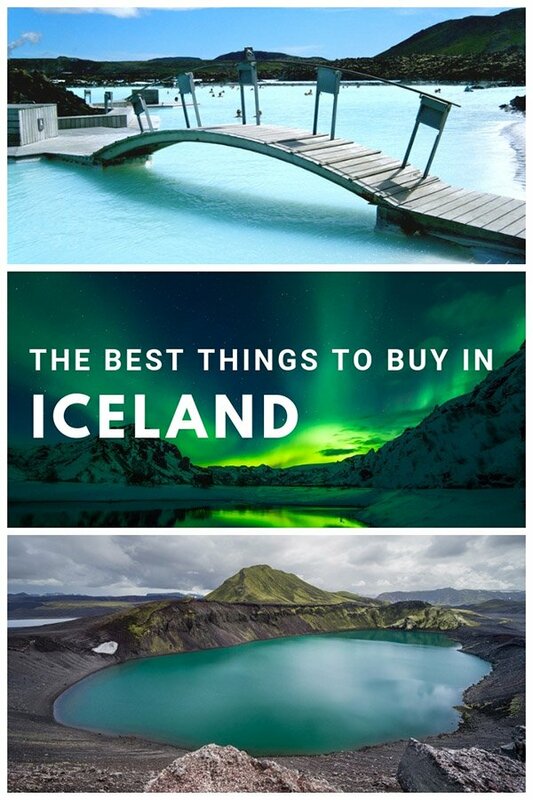 If you found this post on what to buy in Iceland helpful, check out other posts on Egypt, New Zealand, Greece and Paris.